Finding the best dog groomers in Fresno can be a very daunting task. 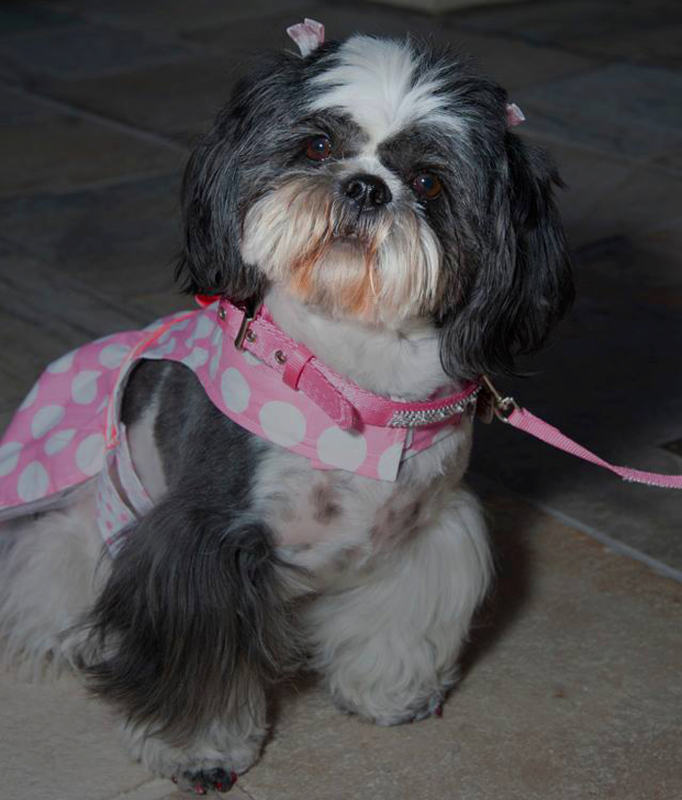 If you’ve been following my blog for a while you know that I do my own grooming of all the Shih Tzus girls in my house. But last month with the trip to Blogpaws conference I knew I had to get Riley professionally groomed, well heck, she was going to be walking the red carpet. With so many grooming places in Fresno I am very picky of where I go. I never go to the big box pet stores, I’ve just read to many horror stories and I simply don’t like the idea of my dog being stuck in kennel with a dryer blowing at them to dry them off after a bath. So after some research on yelp, then reading Facebook comments, along with a very old recommendation from a friend, I made one quick phone call to 100% Fancy Grooms located in Mission Village at Shaw and Fresno Streets. Once you enter this grooming salon you are quickly greeted with warm happy smiles. This is a place where the groomers absolutely love what they do. And unlike many other groomers, the dogs here are given the full treatment. From being dried with a blower dryer by hand to nails being filed with a drill and painted, it’s a total spa package! You can really see how much each groomer loves the dogs. The above picture was taken while at the Blogpaws Conference and you can see the beautiful cut Riley has, not too short just perfect. Jayd, her groomer calls it the Bell Bottom cut, as it is long on her legs. But check out those painted toe nails!! It’s great to know that she gets a pawticure also. So you may be asking if I will be taking her back to 100% Fancy Grooms? And the answer is YES! And a month later I already have, but this time I took Katie also! And that is why I am writing this post. In the past Katie shakes like a little leaf going to the groomer and when I pic her up. That wasn’t the case this time. Katie was happy with the whole experience, and all those things that she does when I groom her at home all flew out the window. While there she didn’t whine when bathed, or throw herself back while having her face trimmed she was a good girl. So if you are looking for the best dog groomers in Fresno, look no further than 100% Fancy Grooms! As for me, I will be hanging up my clippers and leaving it to the professionals at 100% Fancy Grooms! Thanks Jayd for making my girls look beautiful! « Photo Challenges Are the Bomb! Boy..I wish we lived in Fresno. Being up here behind the Redwood Curtain, I can’t tell you how hard it has been finding a good groomer. We are lucky to have found one that we trust…but Arty doesn’t get to have anything fancy done….